PALM BEACH GARDENS, Fla. (Sept. 13, 2017) – The PGA of America today announced that Kearney Hill Golf Links of Lexington, Kentucky, has been selected to host the 2018 Girls Junior PGA Championship. The 43rd edition of the Championship will occur from July 9-12, 2018. The Girls Junior PGA Championship features a full field of 144 players comprising of, among others, PGA Section Champions and runner-ups, as well as exemptions from other top-tier national events. Current LPGA stars who have won the Championship include: Cristie Kerr (1995), Inbee Park (2001, ’02), Lexi Thompson (2007, ’09), and Ariya Jutanugarn (2011, ’12). 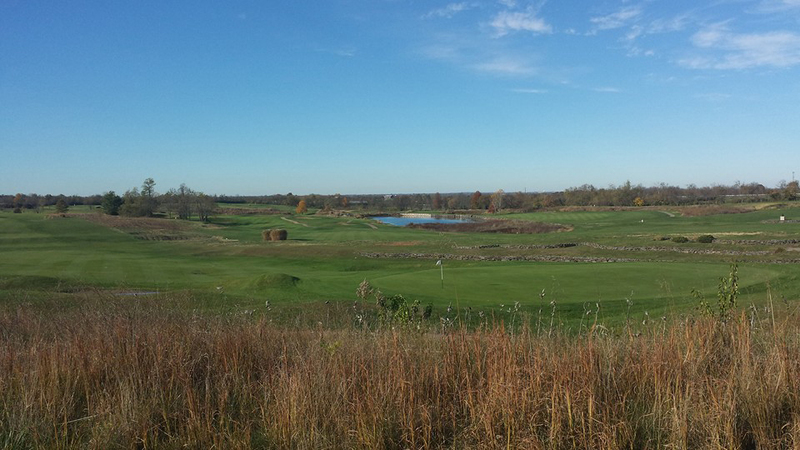 Kearney Hill Golf Links, designed in 1989 by Pete Dye and his son, P.B., is no stranger to prominent golf events. The Bank One Classic, a tournament on the PGA Tour Champions schedule from 1983-1997, was played annually at Kearney Hill from 1990-1997. Headlining the list of champions are World Golf Hall of Famers Gary Player (1993, ’95) and Isao Aoki (1994). Additionally, the 1998 U.S. Men’s and 2007 U.S. Women’s Amateur Public Links Championships were held at the City of Lexington-owned property, won by Tim Clark and Mina Harigae, respectively. Rose Zhang, of Irvine, California, won the 2017 Girls Junior PGA Championship at the Country Club of St. Albans (Missouri). Her 72-hole total of 268 tied the Championship record originally established in 2014 by Kristen Gillman. Eight of the top-10 finishers last year, including Zhang, are eligible to return to the Girls Junior PGA Championship at Kearney Hill. The Girls Junior PGA Championship also provides a final opportunity for junior girls to earn exemptions or points for next September’s 2018 Junior Ryder Cup, which will feature a 12-player United States of America team that will compete against Europe at Disneyland Paris. The U.S. Junior Ryder Cup Team will consist of six boys and six girls who are U.S. citizens and are in the high school graduating class of 2019, or younger. @PGA on Twitter and find us on Facebook.